The Sooners jumped to #5 in both the AP and Coaches polls this weekend, following Michigan’s loss to Ohio State. Tonight, OU got a glimpse of how the Playoff Committee sees their resume. Oklahoma came in at #5 in the latest Playoff Rankings. That the Sooners stayed ahead of Ohio State, as they should have, could be a preview of next week’s rankings. 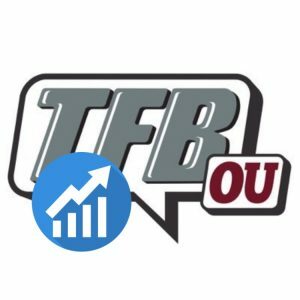 OU puts themselves in a great position if they can beat Texas in the Big 12 Championship.